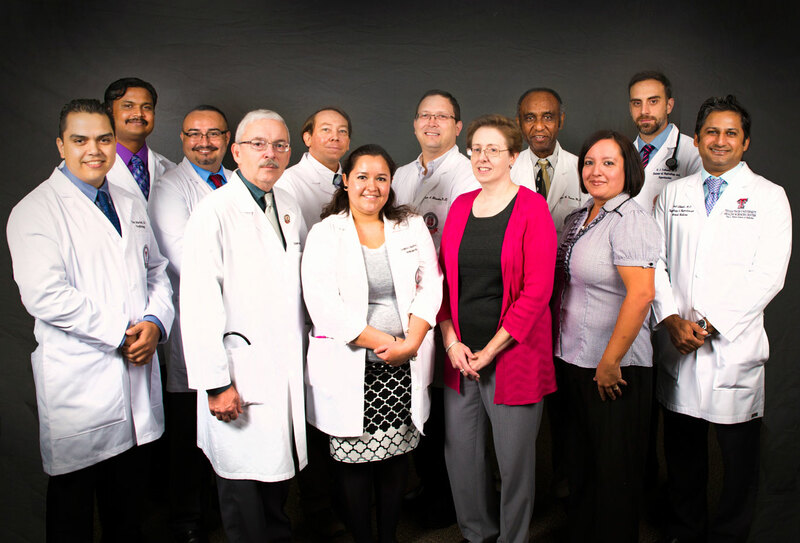 Nephrologists at Texas Tech University Health Science Center (TTUHSC) El Paso have been invited to participate in a national consortium that’s investigating the key causes of lupus nephritis — an autoimmune disease that can cause kidney failure. Lupus is a chronic inflammatory disease that occurs when a person’s immune system attacks its own tissues and organs. The cause of the disease is unknown, and it affects many different body systems, particularly the kidneys; manifestation of lupus in the kidneys is called lupus nephritis. The nationwide research consortium was formed in hopes of creating a drug to treat lupus nephritis and potentially other autoimmune diseases. The consortium is made up of multiple institutions, including TTUHSC El Paso, the University of California, San Francisco, Temple University, the Feinstein Institute for Medical Research, Brigham and Women’s Hospital and various pharmaceutical companies. Germán T. Hernández, M.D., clinical associate professor of medicine and adjunct associate professor of biostatistics and epidemiology, and Hasan Salameh, M.D., assistant professor of medicine and program director for the Internal Medicine Residency Program, will lead the research effort locally in TTUHSC El Paso’s Division of Nephrology and Hypertension. The division will collect blood, urine and tissue samples of consenting patients who are newly diagnosed with lupus nephritis. After a year of standard treatment, samples will be collected again. Consortium collaborators will then study the patients’ samples to better understand the causes of the disease. The five-year, nationwide project will cost some $42 million and is jointly sponsored by the National Institutes of Health (NIH) and the pharmaceutical industry under the Accelerating Medicines Partnership (AMP) initiative. The initiative is a unique effort to unite high-level government, industry and non-profit partners to accelerate the development of life-saving drugs.